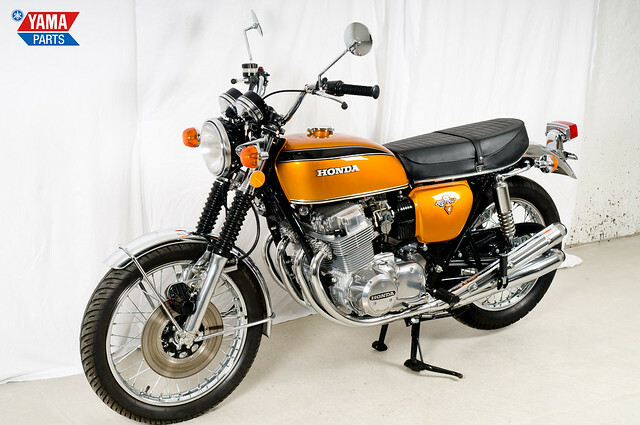 At long last we’ve finally uploaded pictures of our Honda CB750 to the site! We’ve had it for more than two years without getting around to it. The pictures can be found in the museum so do take a look. The video we shot of it up and running when it first arrived back in 2009 is there as well. And speaking of time: you may have noticed that we haven’t uploaded any new project updates for a while. Unfortunately both Ole and I have our hands full at the moment so it will take a few more weeks before we have the time to get serious about the restorations. However we’ll still try to find fun things to upload and we’re still answering the questions you send us so keep checking in! It’s time for even more manuals! This time it is the AS1 rider’s guide. We’ve had the riders guide for the AS1C on the site earlier but not the regular AS1. There aren’t really that many differences between them but it’s good to have! You can find it in the Manuals section or below. We have a new parts list up on the site: this time it’s for the RD125. Check it out in the Manuals section or below. We hope you’ll find it useful!